Kia has been making huge efforts to differentiate itself from its sister brand, Hyundai. 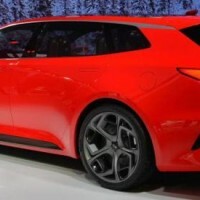 Their models are starting to look better and better by each passing year and their latest concept, the 2016 Kia Sportspace which has been released at the Geneva Auto Show makes no exception. This is an incredibly good looking car and puts Kia right up there with the best manufacturers in the World. Kia said that this concept is there as a statement and as a glimpse to the future. Enough about Kia though and lets talk about the Sportspace. What is it? 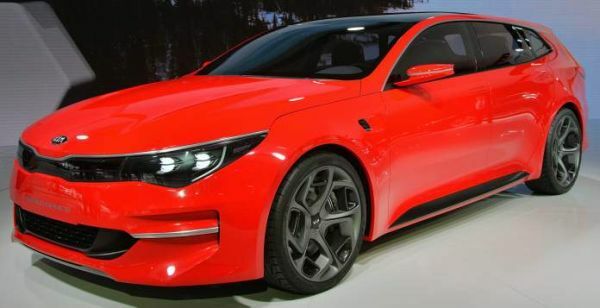 Well, Kia says that this is a car which may replace the Optima sometime in the future. The release date is said to be in 12 to 18 months which is quite the norm when talking about concept cars coming to life. The price hasn’t been set but if we had to give it a go, the car will most likely cost anywhere between 25 and 30.000 dollars which is still a great price for such a good looking grand tourer which has enough space for 5 people and their luggage. We know for sure that the car will be available in two different versions. The US will get a petrol powered version of the car with front wheel drive while Europe will get a hybrid. The price will be similar for both versions. Engine wise, the US version is said to have a 2 liter turbocharged inline 4 which is most likely mated to an 8 speed automatic and front wheel drive. The engine will have enough grunt with 255 horsepower and more than 270 lb-ft of torque, so the performance of the car will match its looks. A 0 to 60 MPH time of less than 7 seconds as well as a maximum top speed of 135 MPH are expected. Europe on the other hand is getting a much more interesting powertrain in our opinion. This is a 1.7 liter diesel engine mated to an electric motor and an undisclosed automatic gearbox. The car will get a small set of batteries and thanks to the electric motor, part time all wheel drive will be possible. While the US version will get around 30 MPG on average, the European version is expected to get well over 60 MPG which for a car this big is quite impressive. Inside the 2016 Kia Sportspace things are pretty impressive. The concept has a very minimalistic interior which manages to look good. The steering wheel has a flat bottom and very little controls on it while the dashboard has two separate screens, one for the instrument cluster which provides information for the driver and also acts as the navigation unit while the center screen is accessible by the passenger as well as by the driver. This will only be used as a navigation screen or as a control panel for all the commodities of the car such as the seats or the automatic climate control system. 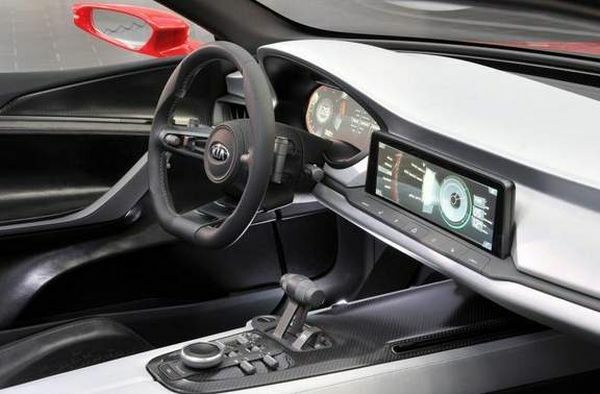 The production model is expected to get a rather similar interior to it but the instrument cluster is going to be most likely replaced with dials. However, the center screen is expected to stay as well as the aluminum center console which is far better than any other in its class. The exterior of the 2016 Kia Sportspace on the other hand is just as impressive as its interior or its engines. The car looks sleek and if you would ask us, it does resemble the Audi RS6 Avant just a bit. The car is low, wider and long, offering quite a striking visual appearance. 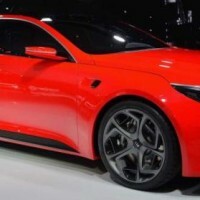 Kia gave it unique 20 inch wheels as well as unique LED headlights with halo-lighting all around them which also act as the daytime running lights.